There is nothing more important for grandparents and parents to do, than to be intentional about passing on their faith to the children they love. However; while some of them know how to do this, and have resources to help them with this, others struggle to know what to do to engage the children in learning how to love, know and walk with God. This is where you as a Children's Ministry leader can be a real help to the parents and grandparents in your ministry. You can let them know about resources designed to help them pass on their faith. 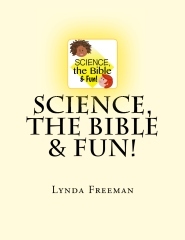 One such resource is Science, the Bible & Fun - and yes, I wrote it. I have three grandsons and I want to pass my faith to them. While it matters for me to share my faith with my grandsons - and I do this - there has to be a point where it becomes their faith. Where they choose to love, know and walk with God. So, since I know my grandsons enjoy science projects, I wrote a curriculum to use with them which will engage them in science projects, gives us time to play fun games and make crafts, but most importantly, helps them learn about Bible people and how they chose to love, know and walk with God, so my grandsons will be able to make the same choices. Science, the Bible & Fun is available for the parents and grandparents in your ministry to use, too! This book has 52 weeks of science projects and fun activities along with solid Bible learning to help them engage the children they love, so they will learn to love, know and walk with God! In the year of activities Science, the Bible & Fun provides, they will learn about Noah, Josiah, Jehoshaphat, Jesus, Caleb, John, Daniel, Elisha, Adam & Eve, Abraham, the judges and Saul. Plus, they will have the opportunity to learn to pray the Scriptures as well! There is much to like about Science, the Bible & Fun - opportunity for parents and grandparents to build memories with the children they love as they have fun together, learn together and grow in their walk with God! You will find it at this link.